Since 1998 V-LUX has been creating multiservice networks and acting as distributor of the most esteemed European and American companies, which produce equipment and solutions for very different architecture. Not only the largest Russian multiservice operators and telecommunication companies made use of our services, but federal authorities, largest Russian and foreign corporations. 1988 - foundation of LLC “Videolux” company. Installation of receiving satellite TV systems and networks of collective reception. 1988-1994 - the first networks of collective reception and cable television, built by our company. The start of Hirschmann products sales in Russia. V-LUX sells the first satellite communication systems for corporate and private customers. 1989 - manufacture of PAL / SECAM transcoder for collective reception networks for foreign TV channels broadcasting. 1990 – obtainment of the RF patent for the electromechanical drive of STB antennas ("actuator"). 1991 - installation of a satellite TV antenna on the government building of the Russian Federation ("the White House") during the "August coup of the Emergency Committee". The antenna provided the Russian authorities with an access to the information from foreign media during the blockade of the building. 1989-1992 - construction of a large number of reception and distribution systems, collective reception systems and cable television in the USSR / CIS countries (Ukraine, Georgia, Armenia, Azerbaijan, Turkmenistan, Uzbekistan, etc.). Installation of the first professional headends of cable television. 1993 - change of the company name (rebranding) to V-LUX. 1994-1997 – V-LUX stats supplying equipment to large cable TV operators and construction organizations. 1995 - creation of the department of R&D and obtaining licenses for the design of cable television system and communication facilities. The first supplies of equipment for fiber-optic communication lines. 1997 - sale of the first professional devices for processing digital television signals in Russia. 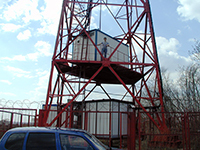 1997 - creation of a unique headend for the TV company TRC “AvtoVAZ” (Toliatti city). 20 programs in 1 meter diapason became available for more than 200 000 subscribers of the operator. 1998 – start of sales of broadband access equipment (CMTS and cable modems COM21 (ARRIS)). 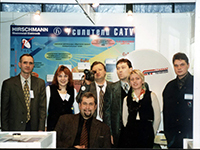 1998 - participation in the founding congress of the Association of Cable Television in Russia (AKTR), A.K. 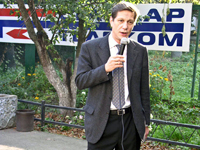 Shishov is the ACTR's Vice-President since 1999. 1999 - establishment of V-LUX science and service center (now V-LUX Service Centre) on the basis of the production premises of “Temp” radio plant. 1999 - foundation of the production company “Standar Telecom”. Procurement of production equipment, start of production of CTV equipment of own design and under the license of foreign companies. 1999 - a football match between V-LUX company team and the team of the State Duma of the Russian Federation. 2000 - V-LUX took an active part in the liquidation of the consequences of the fire on the Ostankino television tower. To ensure the delivery of signals to all areas of Moscow, more than 60 cable TV headend stations of A category were delivered and installed in the shortest possible time. HIRSCHMANN CSE6000 stations were used to integrate the transport network of “Komkor” and the local cable network of collective TV reception of State Joint Stock Company “Mostelecom”. 2001 - creation of a training center and organization of ANO "Research Institute of PT" (Research Institute of Telecommunication Problems). 2002 - the company's specialists worked out the Concept for the development of a pay-TV project for the company “MTU-Inform”. 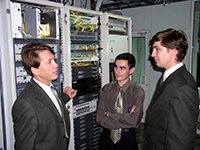 2002 - the first project of a multi-service triple play network with digital TV services, broadband Internet access and IP telephony (Ekaterinburg city). 2003 - the products and solutions presented by the holding company V-LUX became laureates in three out of five nominations of the annual CSTB 2003 show. Besides from the "TVK-Kazan" project, it is the headend of the ARRIS CMTS-1500 cable modems and the universal antenna post (UAP) manufactured by “Standar Telecom”, a member of the holding company. 2003 - supply of fiber-optic communication line equipment for OAO “Komkor”, State Joint-Stock Company “Mostelecom” and other operators. 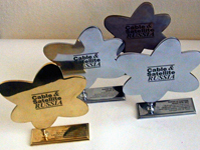 2004 - V-LUX won the main award on CSTB for design work for TVT Kazan (200 000 subscribers). Since 2005 V-LUX has been cooperating with the largest operator of St. Petersburg - the company TKT (now it is part of the NCC group). V-LUX delivered to the provider the largest in Russia broadband access platform, digital TV equipment, subscriber devices, fiber-optic communication components and other products and solutions. 2006 - V-LUX set a CSTB premium record, getting 4 main awards in different nominations. 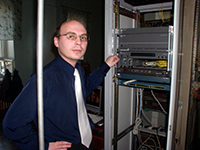 2006 - the first project in the field of television broadcasting automation for the company Viasat /Geotelecommunications. V-LUX has fulfilled the task of local content insertion and time shift of programs. 2006 - creation of the first digital satellite broadcasting system in Russia in the MPEG4 standard for FSUE "Kosmicheskaya Svayz". V-LUX has acted as an integrator and supplier of equipment for the federal digital television platform in the MPEG-4AVC standard. 2007 - the Kalinin nuclear power plant became part of the United Energy System of the Center. Specialists of V-LUX created an information network for the management and control of the operation of the nuclear power plant. Redundancy with HIPER-Ring technology with a recovery time of 300 ms or less. The network uses a ring of switches RS2-FX / FX and MACH 3002 and is designed to meet the increased requirements of EMR stability. 2007 - Holding Company OJSC "Electrozavod" (Moscow). V-LUX has fulfilled design and installation of a structured cable network on a fiber-optic cable about 3 km length. 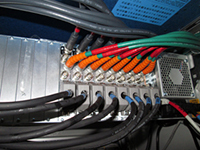 As the Ethernet backup technology, the HIPER-Ring was used. More than 500 working places were connected in ten buildings. 2007 - V-LUX was the first in Russia to arrange DVB-T on-air digital broadcasting in MPEG4 AVC standard (the branch of OJSC "Uralsvyazinform" in Chelyabinsk). 2008 - V-LUX specialists designed and installed a three-level fault-tolerant network on the Hirschmann RS2 series switches and HIPER-Ring technology for OJSC “Mining and Metallurgical Company “Norilskiy Nickel” - the largest in Russia and one of the largest companies in the world for the production of precious and non-ferrous metals. 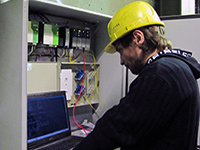 2008 - design and installation of the structured cabling system and local area network LAPIK "MiG" SCS and LAN in Lukhovitsy (Moscow region) were carried out in a short time and under the conditions of a "live enterprise", i.e. the production continued to function in the operating mode. The network was built on Hirschmann equipment: 7 km of OFCL and 13 km of twisted pair were laid. 2008 - creation of a digital TV content distribution network in Chelyabinsk, Tyumen and Kurgan regions. 2008 - Experts and experts of V-LUX created a feasibility study for the development of digital television and radio broadcasting in the Republic of Kazakhstan in 2008-2015. The right to create this conceptual document was given to V-LUX by the results of a tender organized by the Ministry of Culture and Information of the Republic of Kazakhstan. In 2008-2009 V-LUX acted as a system integrator in the creation of the first full-featured DVB-H digital mobile television platform in Russia and the construction of a single-frequency mobile TV broadcasting network for the company “Dominanta” (a subsidiary of OJSC “VimpelCom”). Within the framework of this system it was possible to broadcast up to 16 digital TV channels in the DVB-H standard in mobile TV networks. 2009 - delivery of DVB-H platform and the broadcast automation system for the DVB-H “Kentavr” project (now it is “Scartel” and part of the Holding company “Rostekhnologii”). 2009 - implementation of a comprehensive automation project for the plant “Belaz” (Republic of Belarus). Creation of internal computer networks using industrial commutation. Creation of intra-shop computing networks with the use of industrial switches Hirschmann RS-5TX / FX and RS2-TX, which are combined through a backbone network based on Cisco equipment. 2010 - delivery of a digital TV platform for the “Beeline-TV” project. 2010 - V-LUX is the only system integrator, marked by the main industry premium "Big Digit". • 2010 - Within the framework of the departmental target program "Prevention of Terrorism and Extremism in the Municipal Formation" Saratov City" for 2010, the Unified Multiservice Network (EMS) of data transmission for the video surveillance system, transmission and storage of information received from places of mass stay of people streets, railway stations, squares, bridges, strategic objects of the city) is built. 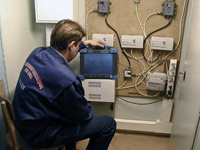 The network, based on the Belden Hirschmann products, was built within the city of Saratov and is used to transfer information traffic from the IP-Surveillance subsystem for archiving to a video server located in the premises of the Militia Station, to the Volzhsky, Leninsky, Kirovsky, Oktyabrsky, Zavodskoy, Frunzensky ROVD of Saratov, in the Situation Center of the Internal Affairs Directorate in Saratov. 2010 - the first full-scale testing of DVB-T2 standard in the territory of the CIS in Karaganda (Kazakhstan). 2010 – V-LUX supplied a platform for the formation and distribution of digital TV content in the MPEG4AVC standard for OJSC “CentrTelecom”. Since 2010 V-LUX has been implementing a project of creation a digital video distribution system for the company “Transtelecom”. The TTK transport network was used to distribute the signal across 17 regions of Russia: from Kaliningrad to Yuzhno-Sakhalinsk. 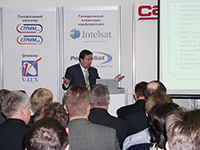 2010-2011 - the project of creating an industrial network of data transmission for OJSC “Chelyabinsk Tube Rolling Plant”. In this project V-LUX acted not only as an integrator with a standard list of services offered to industrial enterprises: from technical audit, development of the concept of a single information space and design to delivery, installation, commissioning, service and personnel training, but also as a project office, which performed the functions of project management from a general contractor. The projects were performed on Hirschmann equipmen. 2011 – V-LUX has supplied a complete solution for the digital TV platform for Lada-Media (Togliatti). 2011-2013 - the television broadcasting project through the GPON network in St. Petersburg (the North-West Macro-regional branch of OJSC “Rostelecom”). 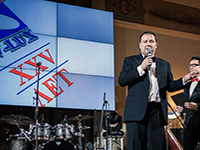 2013 - Chairman of the Board of Directors and General Manager of the group of companies V-LUX A.K. Shishov was awarded the "Big figure" prize. 2013 - delivery of satellite communication equipment for OJSC “Beeline”. 2013 - The project of construction of DVB-C digital headend stations for OJSC “MTS” was successfully implemented. Within the framework of the project, digital broadcasting head stations were built in more than 50 Russian cities. 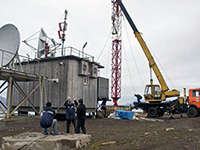 2013 - Construction of communication infrastructure facilities in the Spitzbergen archipelago in Barentsburg township (construction of aerial-mast structures, PON networks, satellite communication systems, cable TV networks, etc.). 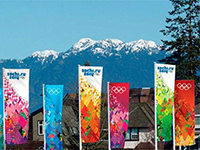 2013-2014 - implementation of media projects for the Olympics in Sochi. Creation of mobile broadcasting complexes for OJSC “Rostelecom”. Designing and supply of fiber-optic communication lines in cooperation with JSC “Rosinzhiniring”. Organization of Internet broadcasting of HD video for mobile devices and for Internet customers by the order of the company “Megalabs” (included in OJSC “Megafon”). 2014 - construction of a satellite TV teleport for the project "MTS-satellite TV". 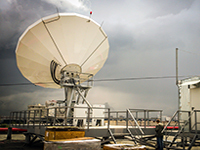 Teleport is built on the basis of 2 antennas 7.3 m, manufactured by General Dynamics Satcom Technologies and is intended for broadcasting about 200 digital TV channels in nine DVB-S2 transponders. The satellite broadcasting system works with automatic reservation of all the main nodes. The constant monitoring and management of the system is carried out by a solution based on Skyline Dataminer products. 2014 - construction of the Adler Thermal Power Plant (TPP) has been completed. The use of Hirschmann equipment with IEC 61850-3 and IEEE 1613 certification has allowed the creation of a multi-level data transmission network of the automated process control system that unites the following TPP systems into a single System. 2014 - the digital TV platform of the largest pay-TV operator of Bashkortostan OJSC MTU "Kristall" was expanded. Specialists of V-LUX designed and built a tele-port and a head station in Belebey city. 2015 - creation of industrial automation and data transmission systems for oil refineries of “Lukoil”. Hirschmann equipment MACH102, M1-8SM-SC, ACA21-USB EEC, RS20, RS40, M-SFP-LX / LC, etc. were used. 2015 - transfer of the video-capture system via SDH networks of OJSC “Rostelecom” to new digital TV technologies. The system is based on the use of coders and decoders of the CP 6000 series from Thomson Video Networks in the SDH networks of the Moscow Ring of OJSC “Rostelecom” (includes 8 cities of the central federal district) and transport networks of 10 cities in the northwestern federal district. The Rostelecom stream switching center in Ostankino can now compile digital video in different MPEG-4AVC formats and 4: 4: 0/4: 4: 2 profiles. 2015 - a large-scale project for the construction of compression nodes for federal TV signals with local advertising inserts in the Siberian region was carried out for the MRS "Siberia" OJSC “Rostelecom”. The project covered 10 regional sites for equipment placement and provided encoding in MPEG-4 format for more than 200 TV channels. 2015-2016 - V-LUX specialists reconstructed the subsystem of satellite head stations of PJSC "Rostelecom". The geography of the project covers three macro-regional branches of PJSC "Rostelecom": "North-West", "Siberia" and "South". In the spring of 2017 V-LUX completed the creation of a monitoring system for satellite television channels adopted by the central head stations of PJSC "Rostelecom" in the cities of St. Petersburg, Krasnodar and Novosibirsk. The purpose of this project was the introduction of a visual and instrument monitoring system to ensure the quality of the service "Interactive television IPTV "of PJSC “Rostelecom". The project covered three macro-regional branches of Rostelecom: “North-West”, “Siberia”, and “South”. The implementation of a visual-instrumental monitoring system provided round-the-clock monitoring of the quality of the TV 500 SD and 160 HD channels received by the central head stations of PJSC "Rostelecom" in the cities of St. Petersburg, Krasnodar and Novosibirsk. 2017 - construction of an antenna post for receiving satellite signals. The customer is OOO “Zapsibgazprom-Gasification” (DAO OAO “Gazprom”). 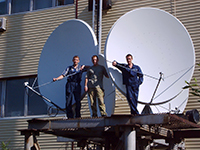 Works on the organization of satellite TV on the islands of the Franz Josef Land archipelago (Nagurskoye Township) included the creation of a system for receiving, descrambling, decoding, satellite programs, followed by the formation of software packages in DVB-C format and broadcasting them on existing TV network.